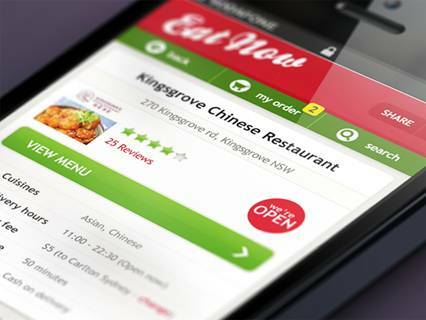 Today, Mobile Ordering Solutions, as signified by its direct offshoot mobile ordering, is poised to change the way we do business. Though this trend bears the imprints of the Internet, mobile is emerging as a ‘force-majeure’ to reckon with, distinctly powerful, and making a dent on our everyday lives and every little thing inside it. Truly mobile marketing has come of age — a far cry from its early short messaging system (SMS) days. Fact is, mobile ordering systems has supplanted computers in terms of consumer usage. Latest statistics reveal that the ratio of mobile devices to computers currently in circulation is 4 to 1. Translating these into global data generates an even more dramatic contrast: of the 1.8 people [Biztech-31] enjoying the Internet, 5.2 billion people are carrying their phones at any given time. Imagine the comfort that mobile ordering solutions brings. Booking or unbooking a seat in your favorite movie could be a matter of clicking your everyday-companion device via a mobile ordring app. KFC, tagged as the world’s most popular chicken restaurant from Kentucky, USA, is making the most of this global trend. 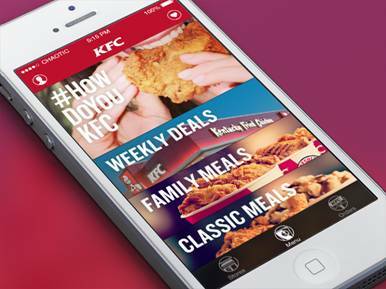 Already, the colossal food chain is getting ten percent of their sales in UK and Ireland via ‘KFC Fast Track’, an ordering system that allows both mobile and web ordering. What this means is that a KFC customer would be able to book a menu without the need of talking to any crew. Plus more, this KFC mobile ordering app can give you your order history, your payment history and get you to the nearest KFC store while you’re at it. Technology is driving this mobile ordering revolution to even greater heights. Geofencing, currently under works, will allow consumers to order via their mobile ordering apps even when they are nowhere near the store.